Two different time zones are displayed at all times. 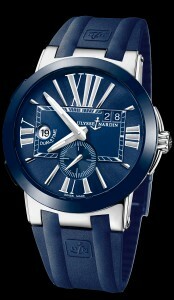 It is a 41mm stainless steel case, blue ceramic bezel, automatic movement with date, with elegant blue dial. 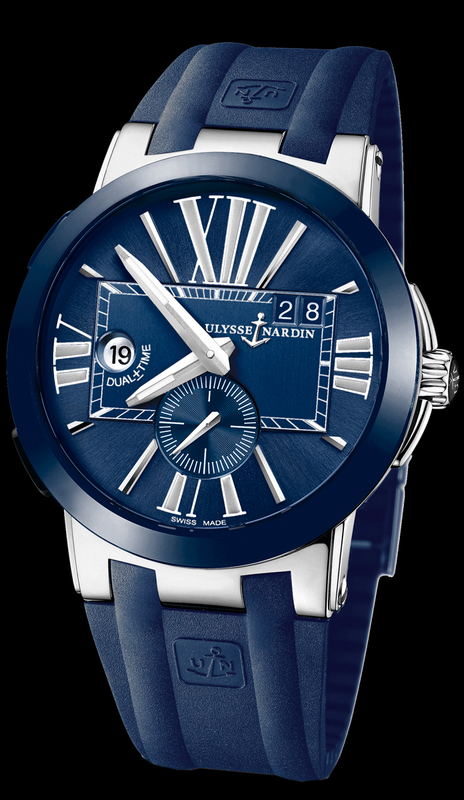 Exhibition sapphire case back, shown on the matching blue rubber strap with folding ceramic buckle.